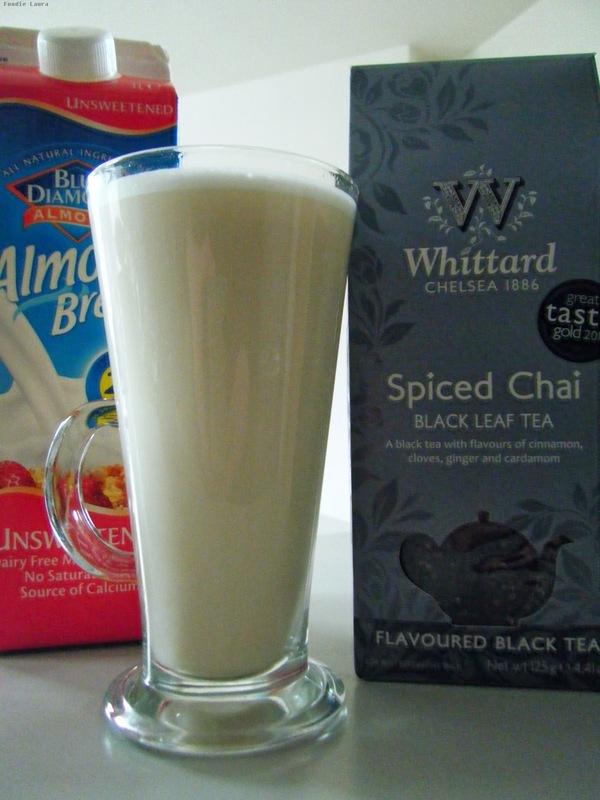 When I don't fancy a caramel latte, I'll usually opt for a spiced chai latte with almond milk. It's still got all the creamy foamy goodness of its caramel counterpart but it has a lot less sugar. Since we bought our coffee machine I've become obsessed with recreating my coffee shop favourites at home and this chai latte recipe is just as good as any you'll buy in a fancy coffee shop and half the price too. 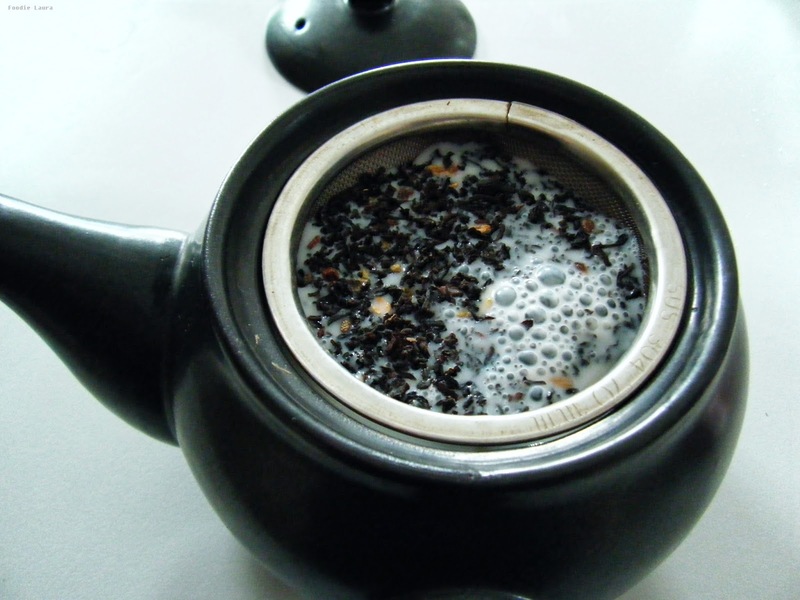 Steep the chai tea it in 200ml of cold almond milk for an hour before you steam the milk. I use almond milk and I really like the original one from Blue Diamond, it doesn't taste artificial or chalky like some of the other brands I've tried. I am keen to have a go at making my own almond milk as I've heard it's not too difficult but doesn't stay fresh for very long. After the chai tea has infused into the milk, use the infused milk in the steamer on you coffee machine to which makes it hot and frothy. If you don't have a steamer you can heat the milk in a pan. I always drink latte from these glass latte cups, ok it doesn't make it taste any better but serving your spiced chai latte in a glass does make you feel like you're in a fancy coffee shop.